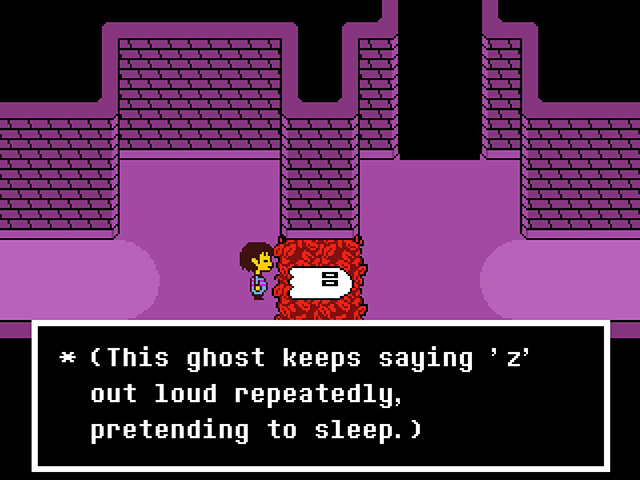 Yes, I’m joining the Undertale bandwagon, but once you play the game, you’ll understand why practically everyone is raving about it. It all began when I watched Markiplier’s LP, which has not been completed and I feel unsatisfied without his crazy voiceovers, but at least there’s Dan and Phil. 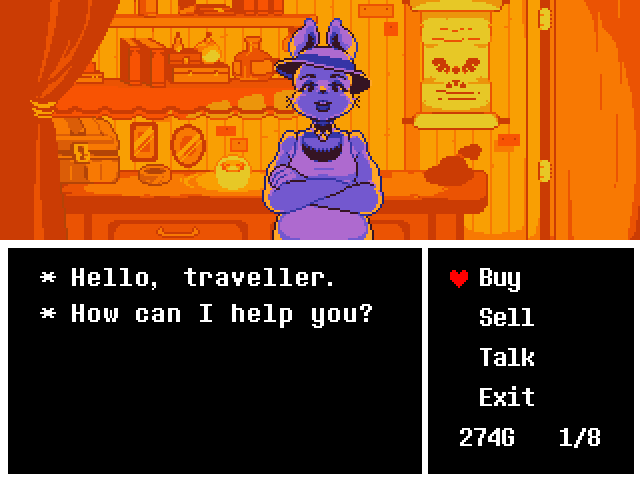 Anyway, I bought the game during Lunar New Year sale and played for hours. I’ll try not to spoil too much but what got me hooked was the storyline that oozed cheese here and there. I laughed way too much at the puns. The theme of the game is uplifting and a bit cliche; nevertheless, the charming characters and story created an emotional experience. The gameplay is refreshing where, as mentioned before, your decisions in battle effect the overall game and story. In fact, the game even remembers how many times you were killed or the actions you’ve done even after saving and/or restarting the game. MIND.BLOWN. I’ll be honest, even when I knew it remembered, experiencing it firsthand creeped me out a bit. I’m awful with dodging “attacks,” so I did die quite often, haha. Pathetic, I know. The soundtrack is catchy, silly, and beautiful. Each theme song dedicated to the characters perfectly fit their personality. I jam to Naptablook’s theme, Ghost Fight. I feel determined when I listen to Hopes and Dreams. There’s also a jazz cover of some songs, and dare I say, they’re more awesome than the original. Well this is coming from a jazz fan, so no surprise I guess. The artwork brings back a lot of nostalgia due to its 8-bit personality. The battle stages are very basic with a black and white enemy that’s usually on on a green grid. I’m not too bothered by the grid because the character designs make the stages more unique. Besides, it makes sense to keep things as basic as possible so the computer won’t be screaming in pain… at least my laptop wasn’t upset at me playing Undertale. There are some questionable character designs that made me laugh at their ridiculousness. I’m sideways glancing at a particular battle with a certain flower. When playing the game, please take a moment to appreciate the backdrops. They’re so simple yet the palette makes the backdrop beautiful. 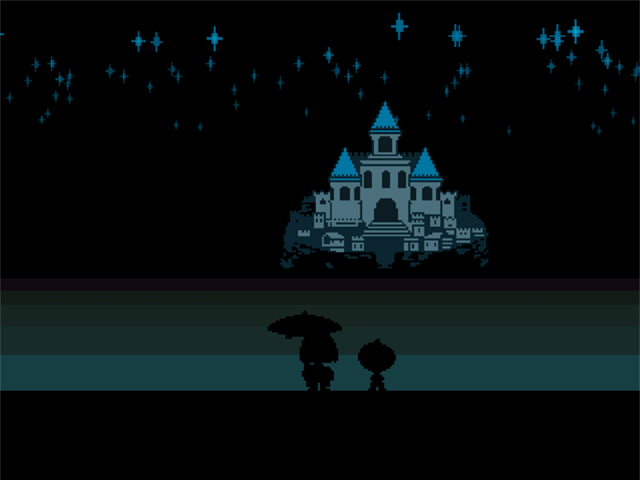 I definitely think Undertale is worth its value, and I would recommend it to anyone who loves playing games with a heartfelt story and lovable characters. 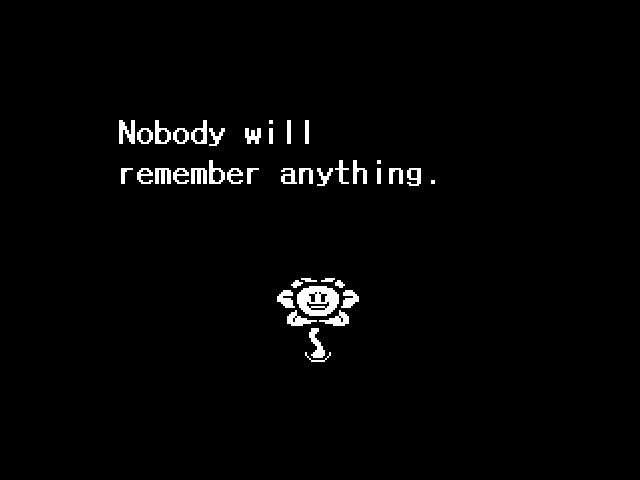 Seriously, I wish I could chill with Sans and Papyrus, or geek out with Alphys. 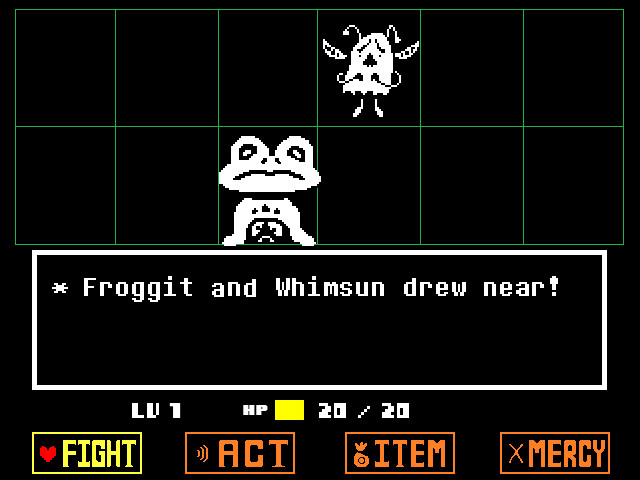 If you’re still not convinced, head over to Undertale’s website to learn more and download the demo. Trust me, once you play, you’ll be under its tale (weak joke, I know).